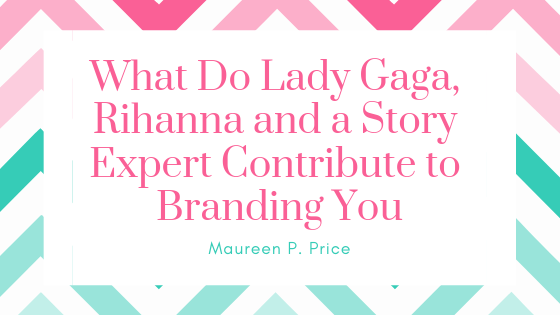 You don’t have to be a famous celebrity like Lady Gaga or Rihanna to have a personal brand. If you have a website or social media account, you already have a brand.If you’e a digital marketer or creative entrepreneur, you will discover how to brand yourself with story and style by reading this article. In today’s noisy, distracted online world, we can connect with anyone with our smartphones and social media, but we have only a few seconds to capture their attention. Three hundred (300) hours of video are uploaded to YouTube every minute. Over two hundred and forty three thousand (243,000) new photos are uploaded to Facebook every minute. Over three million (3,000,000) new “Likes” are clicked every minute and ten billion Facebook messages are sent each day. And over five hundred million (500,000,000) tweets are tweeted each day. If you stand out in those first few seconds online with a story that entertains and educates about who you are and what you have for your audience, they will pay attention to you. Lady Gaga is a singer, songwriter and performance artist whose name, antics and outrageous outfits make her stand out. Her real name is Stefani Germonetta. She’s a performance artist in her everyday life as well as on stage. She wears so many outrageous outfits, different hairstyles and wigs that you never know what she’s going to wear next. Who would have predicted she would wear a dress made of meat? She made her mark with her hit single Poker Face that sold millions of copies. Poker Face has had over two hundred and thirty nine million (239,000,000) views on YouTube since 2009. She built a tribe of fans called Little Monsters and she refers to herself as Mother Monster. Lady Gaga is number 7 on The Twitter Top 100 Most Followers List with over fifty million (50,000,000) followers. She has over sixty million (60,000,000) Likes on Facebook. The lesson digital marketers and entrepreneurs can learn from Lady Gaga is you can stand out with a unique name, outrageous outfits and hairstyles and build a tribe of followers, but you better be able to perform Poker Face. People have told stories to share information, gossip, inspire and entertain since the beginning of human history. These stories have been told person to person and in groups through songs, dance, art, theatre, speeches and conversations. Your story gives your audience an insight into who you are as a person, how you got to where you are today, and what you care about. Telling your story helps prospects decide if they want to work with you or not. Sharing your story can make you feel vulnerable but it is that vulnerability that creates an emotional connection with your audience. Owning our story can be hard but not nearly as difficult as spending our lives running from it. Embracing our vulnerabilities is risky but not nearly as dangerous as giving up on love and belonging and joy – the experiences that make us the most vulnerable. Only when we are brave enough to explore the darkness will we discover the infinite power of our light. I’ve been a fan of Rihanna’s since 2009 when I watched her interview with Diane Sawyer where she revealed domestic violence in her relationship with Chris Brown and in her own family. Rihanna expressed her vulnerability by saying how humiliated she felt about it. What helped her tell her story was the realisation that she could use her fame to influence young girls because she didn’t want them being injured or murdered by their boyfriends and husbands. Fast forward to 2015 and Rihanna is the best selling digital artist of all time with over two hundred and thirty million (239,000,000) sales worldwide. She regularly appears on the covers of Vogue and Harpers Bazaar and she did a photo shoot for Dior at the Palace of Versailles this year. Not only is Rihanna a rock star, she is a fashion icon. Rihanna is number 6 on the Twitter Top 100 Most Followers List with over fifty million (50,000,000) followers. What are our shared values and beliefs? Before you tell your story, you need to identify your target market and define your ideal client, so you know who you’re talking to. You can read my blog about how to develop an ideal customer profile. Once you have chosen your title, you need to create your brand slogan or tagline. When you have identified and defined your target audience, you need to provide something of value for them and clearly communicate that value. We know that people don’t buy products or services. They buy an outcome or transformation. For example, no one really wants relationship counselling. They want a loving, supportive partner. No one really wants a health and fitness coach. They want a bikini body or ripped abs and they don’t want to feel embarrassed in their swimming costume at the beach. I’m a copywriter and brand storyteller. 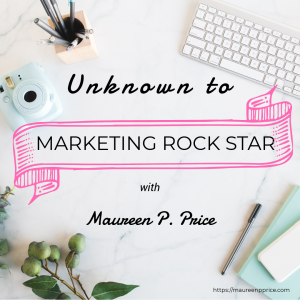 I help marketers build brand identities so they can shift from unknown to marketing rock stars with audiences that love buying their products and services. Personal branding comes across in the way you look, speak and present yourself. I’m not saying you need to be as outrageous as Lady Gaga or Rihanna, but you do need to stand out with your story and unique style. Here are 4 examples of successful female entrepreneurs who stand out with their stories and unique styles..
Kimra Luna is a personal branding and business strategist who took her online business from zero to over seven hundred thousand dollars (US$700,000) in less than a year. Prior to her phenomenal success, Kimra received welfare payments for four and a half years and lived with her in-laws. Kimra stands out with her “rags to riches” story, blue hair, tattooed chest and punk rock style. Her message is: you can be wildly successful whatever your circumstances. She has created a public Facebook Group called Freedom Hackers that has over seventeen thousand (17,000) members. Leonie Dawson describes herself as a self-help author/artist/hippy who has also evolved into an entrepreneur and philanthropist and is now the CEO of a million dollar a year company. Leonie’s advice is to really know your audience, give them what they want and connect several times a day on Facebook. Leonie markets to hippies, big dreamers, creative souls, artists, business owners and women who want to change the world. 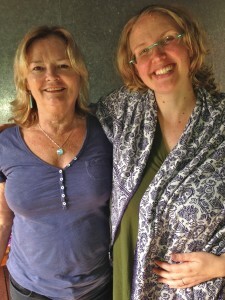 Leonie’s message is : you can create an amazing/incredible/shining business and life. Leonie stands out by being an artist/author who is unapologetically herself. She has over sixteen thousand (16,000) Twitter followers. Sandi Krakowski is a Digital Media Marketing Expert noted by Forbes as a Top 20 Women Social Media Influencer and a Top 50 Social Media Power Influencer. Sandi stands out online with her crimson hair and messages about God and love. She markets to people who want to create a real change in their lives and who want to be more powerful. She posts every hour on Facebook. (She has a team). Sandi’s message is: let’s create your best life and business together. She has over two hundred and ninety two thousand (292,000) Twitter followers. Marie Forleo has a multi million-dollar business empire. She is the Founder of B-School, an online marketing school. Oprah named her as a thought leader for the next generation and Forbes lists her website as one of the Top 100 Websites for Entrepreneurs. Marie stands out in photos with Richard Branson and Oprah on her website and in her weekly video show, Marie TV. She’s smart, funny and glamorous with luscious, long, brown hair. She loves good food, wine and hip hop dance. Marie’s message is: you can realise your greatest potential and use your gifts to change the world. She has a Facebook B-School Group for alumni of B-School that has over seventeen thousand (17,000) members. (There are numerous offshoots of B-School in different countries like B-School for Aussies that has over one thousand (1,000) members). Marie has over one hundred and forty six thousand (146,000) Twitter followers. I love the structure of the Hero’s Journey to tell your story. I have adapted this structure to help you tell your story, so you can offer unique value to your target audience. I call my adaptation, The Abbreviated Hero’s Journey Story Structure. Remember you start your journey as a reluctant hero and transform into the mentor who returns home with gifts for your tribe. Your customers/clients become your heroes. I have written about this in my blog How to tell your brand story. Your Identity in the Ordinary World: Who were you when you started your journey? The Call to Adventure: What was the inciting incident or series of events that called you to enter a new world? The First Threshold: What obstacles and challenges did you face? Your Ordeal: How did you turn your obstacles and challenges into gifts? What was your transformation? Return with the Elixir: What gifts do you have for your tribe as a result of your transformation? Jonah Sachs, author of Winning The Story Wars: why those who tell – and live – the best stories will rule the future discusses empowerment marketing versus inadequacy marketing. When he understood Maslow’s hierarchy of needs, he knew he had discovered the foundation for a powerful alternative to inadequacy marketing. He looked at needs as values (as Maslow often referred to them) and selected some core values for empowerment based storytelling strategies. Sachs recommends writing a list of values and choosing your top 3; identifying the characteristics of your brand hero; uncovering your mentor archetype; defining your brand gift and explaining the moral of your story. I recommend you read his magnificent book. I was delighted by the illustrations of the archetypes and if you’re anything like me, I think you will be too. Here are some definitions to get you started. Defining your brand mentor will help you craft a consistent voice and unique brand feel. This is what makes your brand hero believe she/he can pursue her/his higher-level values through a relationship with your brand. The moral is the core message that underlies every story you tell. It provides meaning and consistency in your communications. The brand boon is the contribution to the world that your brand hero will ultimately make. Empowerment marketing inspires its heroes to make the world a better place and fulfil their own dreams. Sachs found the following values most useful for empowerment based storytelling strategies. Justice: the need to live by high moral values and to see the world ordered by morality, to overthrow tyranny. Perfection: the need to seek mastery of skill or vocation, often through hard work or struggle. Sachs developed some brand mentor archetypes to help us uncover an archetype, that is how audiences see us when we’re at our best. Each archetype embodies certain values and will represent elements of your personality that audiences will connect with. However they won’t reveal everything about your personality and brand. The archetypes are the pioneer, the rebel, the magician, the jester, the captain, the defender, the muse, the architect, the alchemist, the oracle and the healer. You will need to read the book for definitions of these archetypes. Please note there are other archetypes that are not included in Sachs’s book. A classic book on archetypes is The Hero and the Outlaw: Building Extraordinary Brands Through the Power of Archetypes by Margaret Mark and Carol S. Pearson. As the magician archetype, I believe anything is possible. I encourage my clients to dream big so they can shift from unknown to marketing rock star with an audience who loves buying their products. I want to inspire and empower you to express your unique voice, so you can clearly and confidently share your gifts with the world. The moral of my story is you will feel unfulfilled, if you do not share your gifts with the world. My brand gift to you is emotional, creative and financial freedom. I’m an expert in archetypal branding. I help you tell your story in your unique voice and style by guiding you on your Hero’s Journey, where we uncover your brand mentor archetype and slogan. When you know your brand mentor archetype and slogan, you have a powerful way to connect with your target audience. I promise an illuminating journey of self-discovery with empathy and expert guidance. When you are crystal clear about your identity, your purpose (your WHY), your target audience and the value you offer, you can attract an audience that loves you and buys your products and services. I gave you a lesson I learned from Lady Gaga and that is you can stand out with a unique name, outrageous outfits and hairstyles and build a tribe of followers, but you better be able to perform Poker Face. I discussed the importance of sharing your story using Rihanna’s story as an example. Rihanna shared her story of domestic violence in 2009 and now she is a rock superstar and fashion icon. I discussed the importance of identifying your target audience before you tell your story; the 5 key questions your audience wants to know and the importance of choosing your title so your audience knows who you are and how you can help them. I gave you the formula for clearly communicating your value and discussed how you need to stand out with your story and unique style like Kimra Luna, Leonie Dawson, Sandi Krakowski and Marie Forleo. I recommend you define your values, identify the characteristics of your brand hero, uncover your mentor archetype, define your brand gift and explain the moral of your story. Which archetype are you? I can help you discover your archetype by guiding you through the Hero’s Journey story telling process. I have developed a questionnaire based on my research of The Hero’s Journey that will help you tell your story. 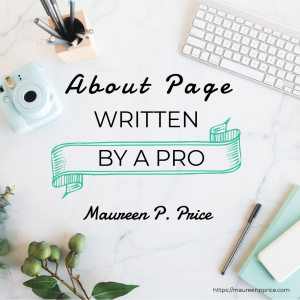 You can get this questionnaire, when you sign up for my About Page Written by a Pro. You can then tell your story on your website, in interviews, videos and podcasts. 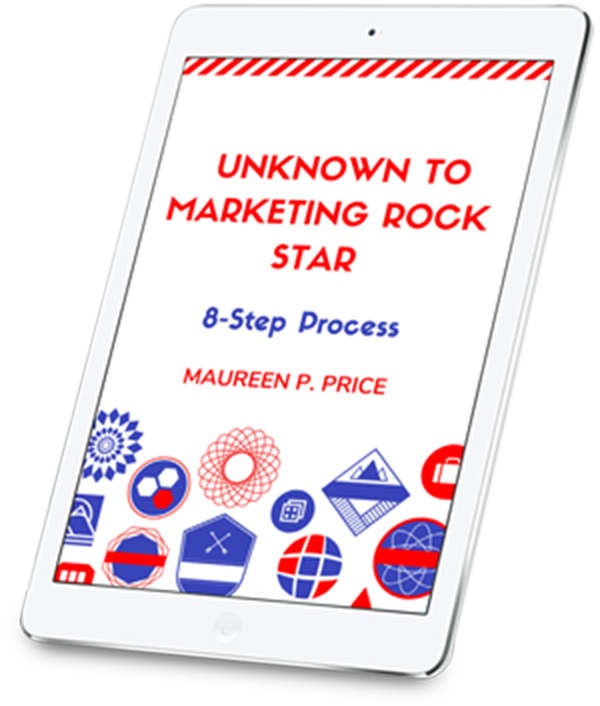 If you would like help to develop a powerful brand voice, you can work with me in my VIP program Unknown to Marketing Rock Star. Note: I am not an affiliate for any of the people mentioned in this blog. Chunkeable and easy to digest!! I’m so happy you really loved reading my blog Kate. Thank you so much. I’m so happy you found it very helpful, Carol.